Ben has recently started revisiting his original love of Gypsy / Hot Club jazz swing and results are fabulous. There’s something infectious about the powerful ‘oom cha’ rhythm created by two Maccaferri style guitars – the so called ‘La Pomp’ rhythm! Ben’s musical acrobatics played over this powerful beat create infectious foot tapping. 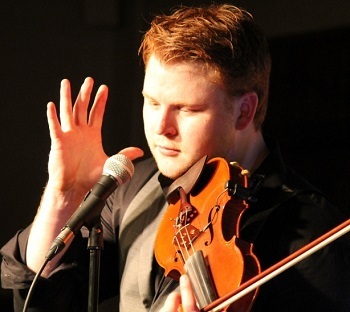 Ben will concentrating on creating the power and draw of the music of Stephane Grappelli and Django Reinhardt – simply amazing! Ben obviously on violin, plus Paul on double bass and featuring the brilliant Paul Gregory and wonderfully rhythmic Caley Groves both on guitar.